Smacksy Saturday Photo: Lovey - . 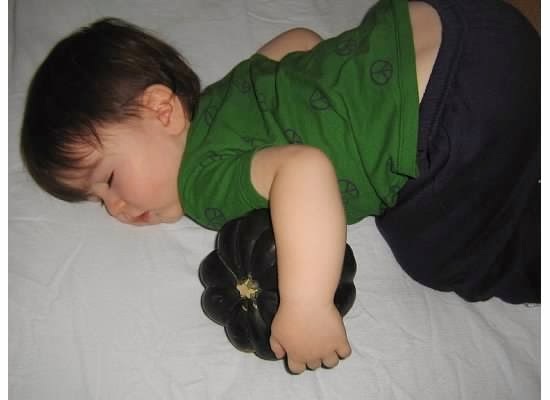 Remember that time Baby Bob was obsessed with that acorn squash? Yeah. I remember tiny Bob and his acorn squash. Omg that pic is adorable! My son feels this way about cucumbers. Boys are weird.